Photo editing software’s are a boon for photographers. Editing the photos will help in getting the best out of the clicked photos. There are different photo editing tools, options, features which you can use in the photo editing software which helps in retouching. Who doesn’t want to add special effects to their digital photos before posting, sharing or using them on social networking sites with friends? I guess, most of us or maybe all of us. So, if you are looking for a most powerful and best photo editing software, have a look at the below mentioned list of top 10 best free photo editing software for Windows computer. In our previous free photo editing guide, we have already shared several helpful and easy to use image editors for all your editing needs. In case, you have missed reading about those free image editor tools then you can check them right now from here – FastStone Image Viewer, Color Surprise, and Image Resizer for Windows etc. Pixlr has been available for editing photos online from quite a long time. The photo editing software can now also be used on Windows as the desktop version of this software is now available. Pixlr comes with easy to use interface and the installation process of the software is also simple. There are a lot of features provided by Pixlr. Within a few clicks you can successfully edit your photos using best photo editing software. This free photo editing software is available for both systems – Windows and Mac. GIMP is also one of the best photo editing software which is available for free to use. GIMP helps in easy editing of the photos and retouching them. Some of the features which are offered by GIMP are the customizable interface where you can change the layout as per your needs, retouching with a single click and much more. You can use this free downloadable photo editing software on Windows, Mac, and Linux. Customizable interface of this image editing software will attract you very much. The next best free photo editing software which makes to our list is Paint.Net. Paint.Net and paint software which is preinstalled in Windows are both different software’s. The photo editing tool is available for free and is used by a lot of professionals. Paint.Net consumes very fewer resources and is thus preferred for computers with moderate hardware. The minimum system requirements of Paint.Net photo editing software are 1GB of RAM, 1GHz processor (dual-core recommended), Windows 7, Windows 8, Windows 8.1, or Windows 10 operating system. Most of the free editing software’s which you can use come with a lot of complex features. Photoscape comes with a minimalistic interface which helps the new users in editing their photos easily. Some of the roles which are fulfilled by Photoscape are editing of the photos, batch editing where you can edit a collection of photos in one go, creating slideshows by adding photos and lots more. Some of the most popular features of Photoscape photo editing software are: Viewer, Editor, Batch editor, Page, Combine, Animated GIF, Print, Splitter, Screen Capture, Color Picker, Rename, Raw Converter, Paper Print, and Face Search etc. If you are looking for a professional photo editing software you need to try Picasa. Picasa has been developed by google and is available from many years. You can not only use Picasa as a photo editing software but also use it to view your photos. One of the best features which you get in Picasa is all the edits can be done in the software with just a single click. 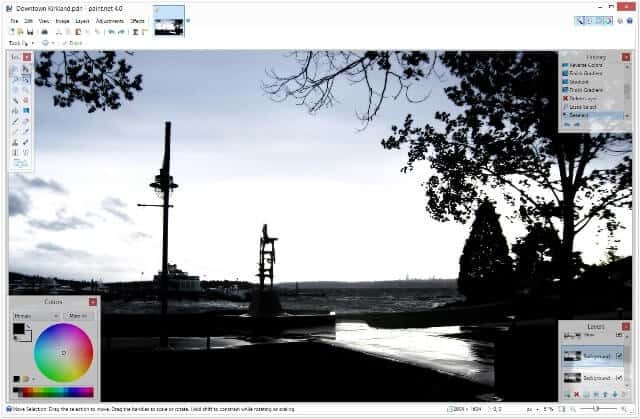 The latest version of Picasa comes with Google+ integration where you can share the edited photos directly on your Google+ account. In short, Picasa is the most reliable and best photo editing software to organize, edit, and share your photos according to your wish. This free image editing software is available for all versions of Windows (Windows X, Windows Vista, Windows 7, Windows 8, Windows 8.1, and Windows 10. PicMonkey is known for the easy user interface. There are not a lot of features present in this software which makes it simple for a new editor to use. There are four sections which you will find in PicMonkey which are editing, design, collage and touch up. All these features can be accessed from the homepage of PicMonkey. Key features of PicMonkey photo editing tool are Photo effects, Photo retouching, Add text to photo, Photo frames, Photo overlays, Crop pictures, and Resize image etc. Fotor is a photo editing software free download where you just have to upload the photo and you will be presented with a list of edits which are available for that uploaded photo. Fotor helps you not only in editing the photos but also helps in creating visiting cards and making collages of your favorite photos. Fotor comes with one tap feature which makes it very easy to edit the photos. If you are looking for a collage maker then you should try BeFunky, a free downloadable photo editing software. You can either upload the photos or directly capture the photos using the webcam. Edit the photos by using the editing tools and share the edited photos with your friends on Facebook. If you want to save the edited photos you can upload them directly to your Dropbox account using BeFunky. 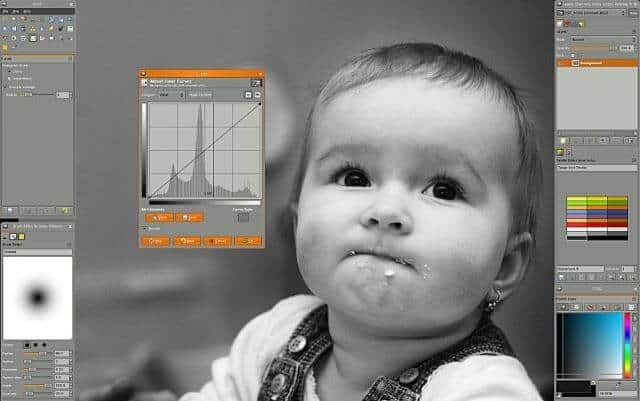 The next editing software is Photocat. Photcat is similar to Fotor. There are three editing features which are available in photocat which are editing the photos, retouching them by adding new filters and creating collages. You can select from different borders to add to your collages in Photocat. SumoPaint is the last software which makes our list of top 10 best free photo editing software for windows. The software will bring Photoshop like interface on your web browser. You don’t even have to install the software as you can access all the editing features online. So, these are the top 10 best free photo editing software for Windows PC which you can download and use in order to make your digital photos look more awesome and professional. Also, feel free to share your view with us through comments – which free photo editing software are you using to edit your photos on Windows PC?